There is quite a bit going on over at Hollywood Studios. With so many new things opening, the park is undergoing a major makeover. One of the latest experiences announced for Hollywood Studios is a new character meet and greet. This is a character that guests know and love, so there’s some excitement with this announcement. Starting this summer, guests will be able to meet Bo Peep at Toy Story Land in Hollywood Studios. Of course, guests can already meet Woody, Buzz, and Jessie in Toy Story Land and Bo Peep will fit right in with her friends. A start date has not been announced, but we’ll post an update once Disney announces a start date. Toy Story 4 opens on June 21, 2019, so I imagine that Bo will show up in time for the opening of the movie. 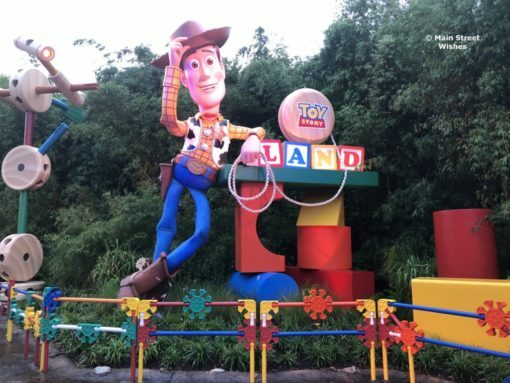 There’s no word on whether this is a permanent meet and greet for Toy Story Land or if this just for the summer, but we’ll keep an eye out for more information on that. Bo will also be meeting guests in Disneyland (Pixar Pier), Disneyland Paris, and the Disney Parks in Asia. So lots of Toy Story fans will have the chance to meet her.